I have always been a fan of the factory scissor jack that comes standard with a Jeep JK Wrangler as it is compact, easy to use, much more practical and safer to use than a Hi-Lift Jack for changing tires and, as if it needs to be mentioned, stores away nicely and out of sight when not in use. 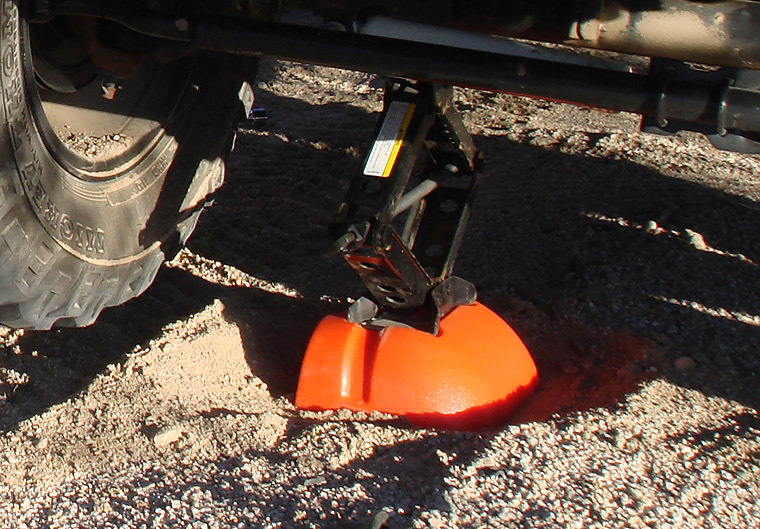 Of course, the biggest drawback to the factory scissor jack is that they are only designed to lift a stock height to a mildly lifted Jeep just high enough to allow you to change your tire. Unfortunately, once you get your Jeep sitting on a 3"-4" lift and on 35"-37" tires, the factory scissor jack essentially becomes useless. Needless to say, that’s why I bought me an AEV JK Jack Base.